MILWAUKEE, Nov. 13, 2018 /PRNewswire/ — Caregiving is a growing reality for Americans – one that comes with a significant emotional toll, according to findings from Northwestern Mutual’s 2018 C.A.R.E Study. The study finds that while nine in ten caregivers say they are providing emotional support for others, significantly fewer feel they get the support they need for themselves. According to the data, nearly half of caregivers (44%) say they only get the emotional support they need “sometimes” and more than one in ten (15%) say they don’t get adequate emotional support at all. For Gen X (age 35-50), one in four (25%) report that they don’t get adequate emotional support. The emotional experience of caregivers is happening in the context of the previously reported financial pressures and lifestyle impact caregivers face. Experienced caregivers report spending an average of 8.2 hours a day providing care. For Gen X, the perceived tradeoffs in their personal and professional lives are comparatively higher than for caregivers overall, which may contribute to the larger impact on their emotional and mental health. “The sandwich generation is particularly sensitive to the emotional and financial implications of caregiving because they’re juggling multiple roles and responsibilities,” says Williams-Kemp. Despite citing financial support as the most difficult aspect of providing care, few caregivers appeared to have significant awareness of resources that could potentially offset some of the stress and pressure they face. 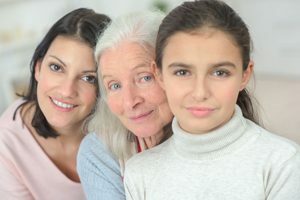 Gen X caregivers report having “basic, minimal, or no knowledge” of Medicare (76%), Social Security (81%), and long-term care insurance (82%).This is higher than the general population which itself is also low, with 74% reporting “basic, minimal, or no knowledge” of Medicare, 68% for Social Security, and 78% for long-term care insurance. “Many caregivers are starting their role in completely unchartered territory, having no prior experience. That’s why it’s so important to have conversations with family and loved ones so you’re not making crucial life decisions under pressure,” says Williams-Kemp. The 2018 Northwestern Mutual C.A.R.E. (Costs, Accountabilities, Realities, Expectations) Study explores the multiple facets of caregiving and longevity risk. This study was conducted by Harris Poll on behalf of Northwestern Mutual and included 1,004 American adults aged 18 or older from the general population and achieved an oversample of 233 American adults age 35-49 (for a total of 413) and an oversample of 709 experienced caregivers (for a total of 987) who participated in an online survey between November 29 to December 7, 2017. Results were weighted to Census targets for education, age/gender, race/ethnicity, region and household income. Propensity score weighting was also used to adjust for respondents’ propensity to be online. No estimates of theoretical sampling error can be calculated; a full methodology is available.